Taking a step no other state has yet, the Pennsylvania District Attorneys Association announced Tuesday its recommendations for the investigation of shootings involving police officers. While the 16 recommendations are not binding for law enforcement agencies or prosecutors, the Association suggests that police forces conduct the investigations about officer involved shootings through a separate agency, have the district attorney conduct the investigation as they would for any other fatal shooting and communicate with the public through preliminary and follow-up reports. Although the guidelines are meant to apply to police departments and prosecutors across the state, the release advised that each individual district attorney modify the recommendations to fit with the needs of their communities. The Association released the guidelines through a video and a press release and were formulated by the Association’s Best Practices Committee to allow prosecutors to conduct investigations fairly and objectively. practices to make good decisions, even under incredibly difficult circumstances, and help the public better understand and have greater confidence in the process,” David Arnold, the Association’s president and Lebanon County district attorney, said in the release. The guidelines will not only standardize investigations but will improve community relations through a transparent and understandable process, the Association said. 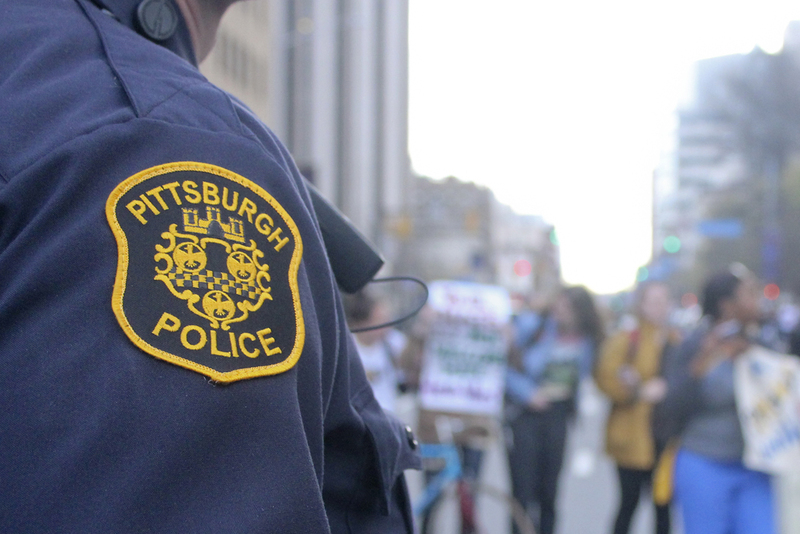 Sonya Toler, spokesperson for the Pittsburgh’s Department of Public Safety, said she would issue a statement after the Pittsburgh Police Department reviewed the policy but did not know when that would be. The Association’s guidelines follow Pennsylvania Governor Tom Wolf vetoing House Bill 1538 on Nov. 21. Bill 1538, sponsored by Republican representative Martina White, proposed restricting the release of police officers’ names after they discharge their firearms in serious or fatal shootings. -An agency that is independent from the agency involved in the shooting will conduct the investigation into the incident. -The independent agency will work directly under the district attorney, who will make a decision at the end of the investigation about whether or not the shooting was justified. -The first concern after an officer-involved shooting is the safety and security of everyone in the area. Medical treatment will be immediately provided to any injured people. -The scene of the incident will be secured with a perimeter with one entry/exit point. If there is a person dead at the scene, officers will shield the body from the public. -The senior officer will notify the district attorney’s office, who will assign an independent agency to investigate the incident. The independent agency will come to the scene and take charge. -If there is a firearm at the scene, it will be left untouched and undisturbed as much as possible. If it must be moved for safety reasons, it will be secured in a new location without disturbing its condition (i.e., without unloading it). -The independent agency will gather evidence from the scene and remain in possession of all evidence until after the investigation is complete and the district attorney has made the final decision on whether or not the shooting was justified. -If there are multiple officers involved, they will not discuss the incident except to ascertain each other’s safety. At every point leading up to their interviews — for example, the car ride back to the station — the involved officers will be separated and the names of the officers who transport them will be recorded. -The independent agencies will conduct all interviews with involved officers, which will take place as soon as reasonably possible, taking into consideration the possibility that the officer may be in shock. An initial interview will take place immediately, followed later by a more detailed interview after the officer has had time to process the incident. -The independent agency will photographer the officers involved in the incident, in the clothes they were wearing during the incident. -The agency involved in the shooting may contact internal affairs if they wish. The internal affairs investigation will remain separate and distinct from the district attorney’s investigation. -Any officer involved in a shooting will have access to both immediate and ongoing counseling. -The involved officer’s union representative may be present at any interviews with the involved officer or with those representing the involved officer. Because of this, the union representative should avoid the possibility of conflict of interest by refraining from taking any other role in the investigation. -During the investigation and before the district attorney releases the final decision on the incident, the investigation and the details of the incident will be kept confidential. Any media inquiries will be direct to the district attorney’s office. -If there is an audio or video recording of the officer-involved shooting, the district attorney will decide whether or not to release those recordings to the public. This decision will be made on a case-by-case basis. -The district attorney will decide whether or not to make a public statement about the incident before the investigation is complete. Although this statement may be limited while the investigation is ongoing, it may help the public understand the incident. -At the conclusion of the investigation, the district attorney will make a public statement about whether or not the officer-involved shooting was legally justified. The officer’s name will not be released if the shooting is declared justified, following the general rule that citizens will not be publicly identified if they are not charged with a crime. If the shooting is deemed not justified and results in criminal charges, the same rules will be followed that apply to other criminal cases.